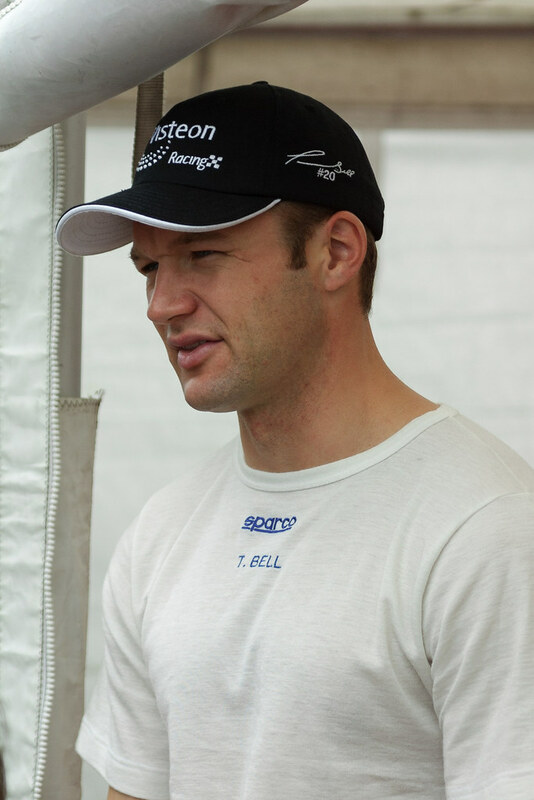 At the 2002 CART race at Portland, familiar with his success in the Indy Lights feeder series, I wanted a picture of young Townsend Bell, driving that year for Patrick Racing. 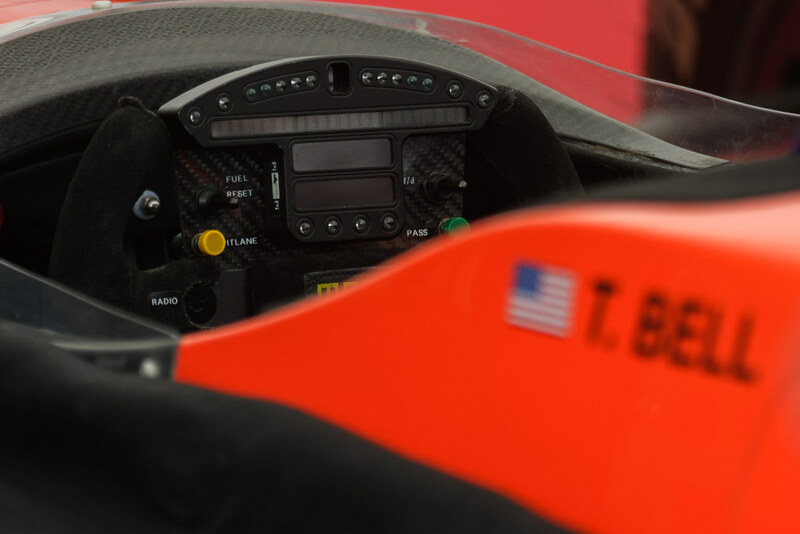 I came across him giving an interview in the pits and got a picture of him, but was pleased to also get a picture of his steering wheel with the orange body of his car sweeping out past his name. I quit watching racing not long after for a variety of reasons but started watching again when Formula One returned to regular cable on the NBC Sports Network. They also cover some of the IndyCar races and I was pleased to see Townsend again, now providing color commentary for those races, as well as still racing in sports cars (winning at LeMans last year!) and in the Indy 500. This entry was posted in Sports and tagged CART, IndyCar, Oregon, Patrick Racing, Portland, Portland International Raceway, racing, Townsend Bell. Bookmark the permalink.